Eyes on Nature Expeditions is a tours and travel company based in Nairobi, Kenya which has been specializing in quality tours and safaris at reasonable prices for more than 5 years now. Our focus has been and is still on providing a personal service to traveling parties. We give our customers personalized care and attention. 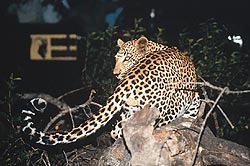 We are an African safari & holiday vacations specialist. We have our central reservations office strategically located in Nairobi, Kenya. 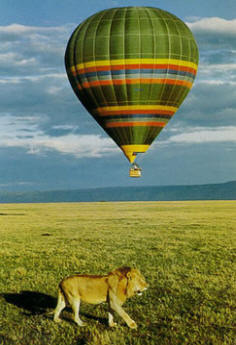 We specialize in travel to Kenya and Eastern Africa. This specialization has given us opportunities to make contacts that give you privileged access to places you would never find on your own. We know Kenya and East Africa as a whole. You are welcomed as a guest by our in-country outfitters and our native guides, by the lodges we frequent, by the camp owners and managers we support. Our intimate knowledge and passion for this beautiful country helps us to know how to satisfy your safari needs and we are very much aware that our success depends on how we share the beauty of our nature, wildlife behavior and the culture of our country. We also believe in sustainable tourism for the conservation of the fragile ecosystem without which Eyes on Nature Expeditions would not survive. 2. Ethical tourism is one of the cornerstones of our company. Eyes On Nature Expeditions is committed to travel that provides exciting opportunities for our guests while enriching lives and protecting habitats in East Africa. We support micro-economic development projects with a number of tribal groups in Kenya. These programs allow our guests exclusive entry onto tribal lands while giving local people local control over the way tourism is introduced and the way dollars earned are used. Our programs open up rare opportunities for in-depth exchanges between western culture and traditional African cultures. 4. Education is one of the cornerstones of Eyes On Nature Expeditions. On our safaris , you learn by going. It is a highly entertaining process of deepening discovery that we call Natural Learning and it’s an integral part of every one of our safaris . As our guides teach you to spot and identify game and track animals, you begin to see with new eyes. You become more curious and observant about animal behaviors, and you begin to understand how all the pieces of the ecosystem fit together. In addition, we can also arrange your safari to give you special access to amazing people who know Africa’s depths: researchers, directors of non-governmental organizations (NGOs) tribal councils, and camp owners. At Eyes On Nature Expeditions we want you to come away with a deeper understanding of an astonishing landscape. Is Eyes on nature expeditions your company? Register to get access. You can get access to the Trips listed on TravelDragon, allowing you to add/edit your products. Register to get access if you'd like to add or edit Trips for Eyes on nature expeditions.